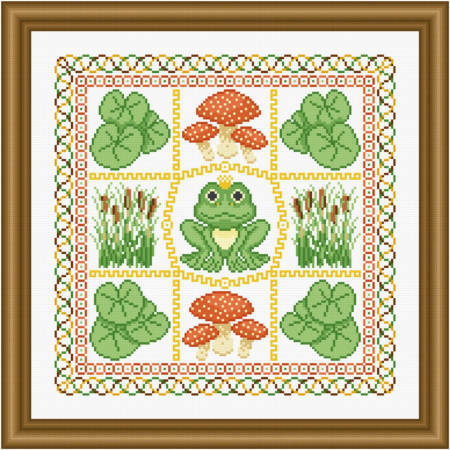 Froggy Dreams cross stitch pattern... A frog wearing a crown is surrounded by 9 patches featuring lily pads, toad stools, and cattails. Unique borders add interest. Floss needs listed. Whole stitches. Colors may be changed.